In late March, the UN Security Council Committee updated its 1718 Sanctions List of individuals and entities, adding 22 entries, comprising 21 entities and one individual. UNSC Resolution 1718, adopted in October 2006, imposes a series of economic and commercial sanctions on North Korea (DPRK), on the aftermath of the country's nuclear test. Tsang Yung Yuan: Tsang Yung Yuan has coordinated North Korean coal exports with a North Korean broker operating in a third country, and he has a history of other sanctions evasion activities. Chang An Shipping & Technology: Registered owner, ship manager, and commercial manager of Panama-flagged vessel HUA FU, a cargo ship that loaded DPRK coal at Najin, on September 24, 2017. Chonmyong Shipping Co: Registered owner of CHON MYONG 1, a DPRK-flagged vessel that conducted ship-to-ship transfer of fuel in late December 2017. First Oil Jv Co Ltd: Owner of the DPRK tanker PAEK MA, which was involved in ship to ship transfer operations for oil in mid-January 2018. Hapjanggang Shipping Corp: Registered owner of the DPRK tanker NAM SAN 8, which is believed to have been involved in ship to ship transfer operations for oil, and owner of vessel HAP JANG GANG 6. Huaxin Shipping Hongkong Ltd: Ship and commercial manager of the ASIA BRIDGE 1. Hong Kong-owned vessel, the probable “ASIA BRIDGE 1” was instructed on October 19, 2017 by Huaxin Shipping to make preparations for entry into Nampo, DPRK to receive a shipment of coal bound for Vietnam. 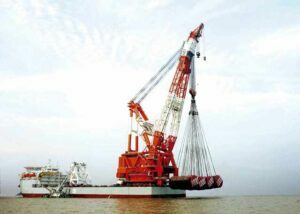 The “ASIA BRIDGE 1” was instructed by an unidentified employee of Huaxin Shipping Ltd. to make preparations to receive 8,000 metric tons of coal and then sail to Cam Pha, Vietnam. The master of the vessel was instructed to cover the ship’s name and other markings using canvas while in port at Nampo. Kingly Won International Co., Ltd.: In 2017, Tsang Yung Yuan (Neil Tsang) and Kingly Won attempted to engage in an oil deal valued at over $1 million with a petroleum company in a third country to illicitly transfer to the DPRK. Kingly Won acted as a broker for that petroleum company and a Chinese company that reached out to Kingly Won to purchase marine oil on its behalf. Korea Achim Shipping Co: Registered owner of DPRK tanker CHON MA SAN. DPRK-flagged CHON MA SAN prepared for likely ship to ship transfer operations in late January 2018. The master of the DPRK-flagged motor tanker YU JONG 2 reported on November 18, 2017 to an unidentified DPRK-based controller that the vessel was avoiding a storm in advance of a ship to ship transfer. The master suggested that the YU JONG 2 load fuel oil before the DPRK-flagged tanker CHON MA SAN since the CHON MA SAN’s larger size was better suited to conduct ship to ship transfers in a storm. After the CHON MA SAN loaded fuel oil from a vessel, the YU JONG 2 loaded 1,168 kiloliters of fuel oil on November 19, 2017 through a ship to ship transfer operation. 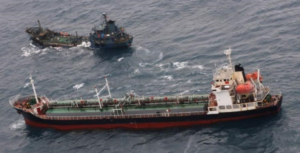 Korea Ansan Shipping Company: Registered owner of DPRK tanker AN SAN 1 believed to have been involved in ship to ship transfer operations for oil. Korea Myongdok Shipping Co: Registered owner of the YU PHYONG 5. In late November 2017, the YU PHYONG 5 conducted a ship-to-ship transfer of 1,721 metric tons of fuel oil. Korea Samjong Shipping: Registered owner of DPRK tankers SAM JONG 1 and SAM JONG 2. Both vessels are believed to have imported refined petroleum to DPRK in violation of UN sanctions in late January 2018. 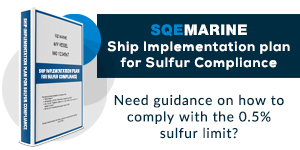 Korea Samma Shipping Co.: A DPRK-flagged tanker, SAM MA 2 owned by Korea Samma Shipping Company, conducted a ship-to-ship transfer of oil and fabricated documents in mid-October 2017, loading almost 1,600 metric tons of fuel oil in one transaction. The ship master was instructed to erase SAMMA SHIPPING and the Korean words found on the ship’s seal and instead put “Hai Xin You 606” To mask its identity as a DPRK vessel. Korea Yujong Shipping Co Ltd: Registered owner of the DPRK tanker YU JONG 2, which loaded 1,168 kiloliters of fuel oil on November 19, 2017 through a ship to ship transfer operation. Koti Corp: Ship manager and commercial manager of the Panama-flagged vessel KOTI, which conducted ship-to-ship transfers of likely petroleum product to the DPRK-flagged KUM UN SAN 3 on December 9, 2017. Myohyang Shipping Co: Ship manager of DPRK oil products tanker YU SON, which is believed to have been involved in ship to ship transfer operations for oil. Paekma Shipping Co: Registered owner of the DPRK tanker PAEK MA, which was involved in ship to ship transfer operations for oil in mid-January 2018. Phyongchon Shipping & Marine: Registered owner of DPRK tanker JI SONG 6, which is believed to have been involved in ship to ship transfer operations of oil in late January 2018. The company also owns vessels JI SONG 8 and WOORY STAR. Pro-Gain Group Corporation: Company owned or controlled by Tsang Yung Yuan and involved in illicit transfers of DPRK coal. Shanghai Dongfeng Shipping Co Ltd: Registered owner, ship and commercial manager of the DONG FENG 6, a vessel that loaded coal at Hamhung, DPRK on July 11, 2017 for export in violation of UN sanctions. Shen Zhong International Shipping: Ship and commercial manager of HAO FAN 2 and HAO FAN 6, St Kitts-Nevis-flagged vessels. The HAO FAN 6 loaded coal at Nampo, DPRK on August 27, 2017. HAO FAN 2 loaded North Korean coal at Nampo, DPRK on June 3, 2017. Weihai World-Shipping Freight: Ship and commercial manager of the XIN GUANG HAI, a vessel that on loaded coal at Taean, DPRK on October 27, 2017 and had an ETA of November 14, 2017 to Cam Pha, Vietnam, but it did not arrive and instead went to Port Klang, Malaysia on December 18, 2017. Yuk Tung Energy Pte Ltd: Ship manager and commercial manager of the YUK TUNG, which conducted ship-to-ship transfer of refined petroleum product. The 1718 Sanctions List can be found here.